Order in the next 9 hours 9 minutes and your package will ship on Friday, April 26. For engraving, order in the next 8 hours 10 minutes and your package will ship on Friday, April 26. 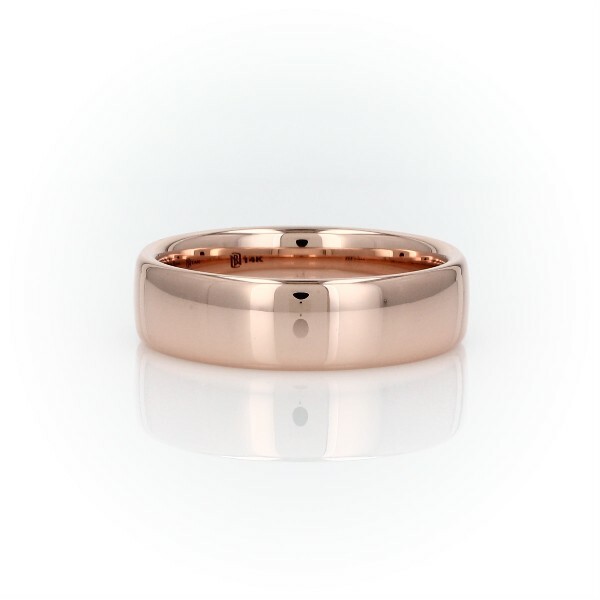 A subtly rounded design with rolled edges creates a pure, minimalist showcase for this richly hued 14k rose gold band.